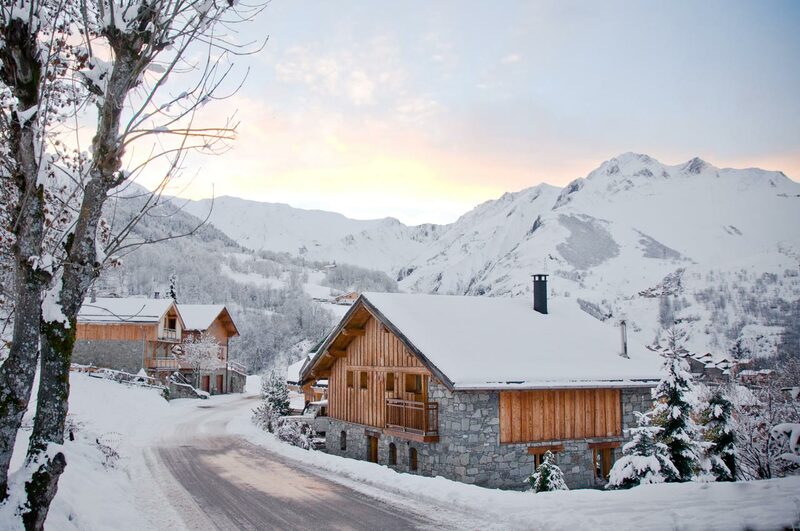 Chalet Alpage, located 350m from the centre of St Martin de Belleville, is a wonderfully warm & cosy catered chalet. Built in a traditional alpine chalet style it is rustic and charming with a beautifully finished interior. Equipped with inviting living spaces, views to die for and our fabulous food and drink, Chalet Alpage is a wonderful place to return to time and again. TV Snug room, great for the little ones! Our bunk room, great for the children! 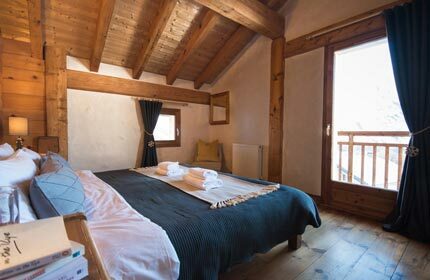 Chalet Alpage comfortably sleeps 14 guests across 6 bright and spacious bedrooms, all of which feature full en-suite facilities and beautiful furnishings. The cosy and comfortable living area is light and airy with large windows and spacious balconies to take advantage of the fantastic views down the Belleville valley. The balcony also provides the perfect area for an après-ski beer and some night star-gazing whilst sat around the chimenea. 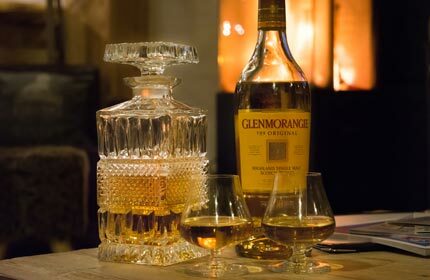 In the living room, the log burning fire is the perfect focal point for some evening entertainment, book reading, game playing or story telling of the days events on the mountain. Or if you fancy watching a movie then why not settle down and enjoy one from our vast library of films and TV shows, either upstairs in the main living area or downstairs in our cosy little TV snug. The ground floor is home to the open plan lounge and dining area, with enough space for everyone around the log fire and views to be enjoyed either here or on the large sun terrace outside. On the lower ground floor you will find the sauna, great for easing those tired muscles, the TV snug which is a perfect little hideaway and the heated boot room to ensure your boots and kit are fresh and dry when you slip into them first thing in the morning. "The chalet is ideally situated in St Martin de Belleville, just a 5 minute walk to the center of town and quick access to whole of the Three Valleys via the speedy St Martin Express chairlift. 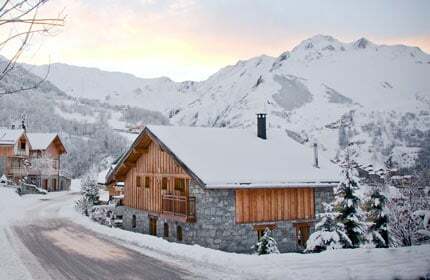 We offer shuttles to and from the lifts in both the morning and afternoon, and will arrange transport to and from St Martin de Belleville on chalet staff night off." The large dining table offers seating for 12-14 people with spectacular views onto the surrounding mountains which can also be enjoyed from the large sun terrace. Two sofa's and a few arm chairs situated around the log fire allow around 10 people to comfortably sit in the living area at one time. There is space for additional seating. Bedroom 6: Our lovely bunk room is situated on the ground floor next to the lounge along with it's en-suite bathroom. The beds are full size single beds and comfortably sleep a grown adult. Bedroom 1, 2 and 3 have a very similar set-up and can be configured as comfortable twin or super-king beds, en-suite bathrooms as well as private balconies. Bedroom 4 is our Family room with double bed and en-suite bathroom as well as mezzanine level with twin beds reached by full size staircase. 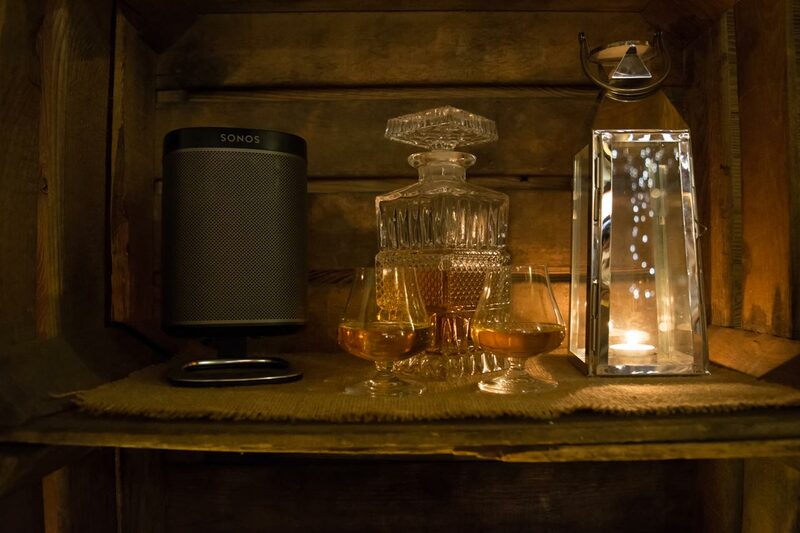 Our in-house sauna is located on the lower ground floor, which is lovely to relax your muscles after a long day on the ski slopes. The little ones love our downstairs TV lounge with comfy sofa, DVD player and a large selection of boardgames, books and DVDs. Bedroom 5 is also situated on the lower ground floor. 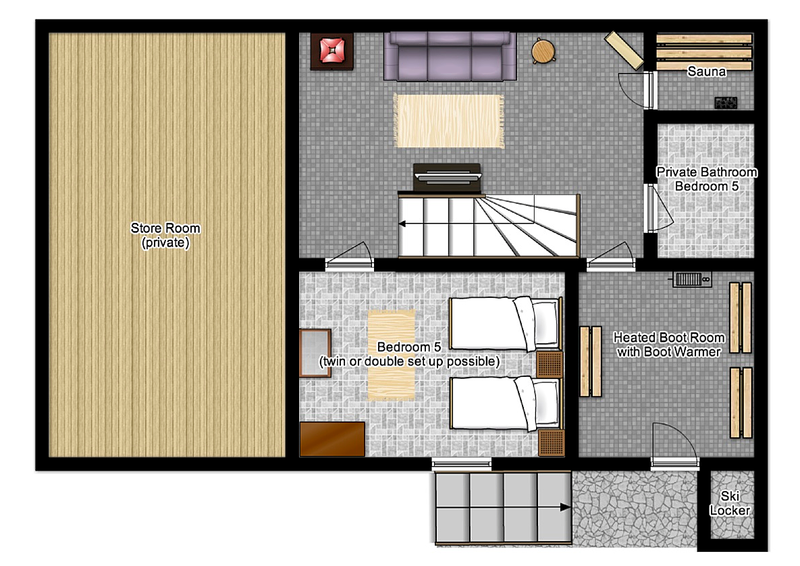 It's a bright and spacious room with twin or king-size bed set-up and storage in a large cupboard. Bedroom 5 has a private bathroom with is situated just across the downstaris lounge. ...is a rustic, charming and luxuriously finished catered chalet that is situated in the beautiful village of St Martin de Belleville. It's location is perfect offering stunning views back down the Vallée des Belleville. St Martin de Belleville is a beautiful village with a reputation for great food, having won the Gastronomic Resort of the Year Award 2016. 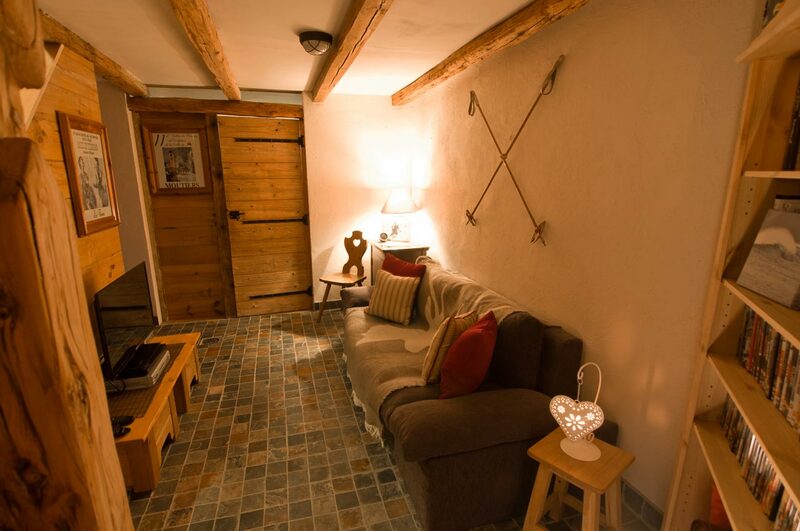 Chalet Alpage is perfectly located within a 5 minute walk of the town center. St Martin de Belleville has excellent connections to Méribel, Val Thorens and the rest of the truly vast Three Valleys ski area via the super fast St Martin Express 6-man chairlift. We also offer a courtesy chauffeur service, 7 days a week, to and from the lifts in the mornings and afternoon.